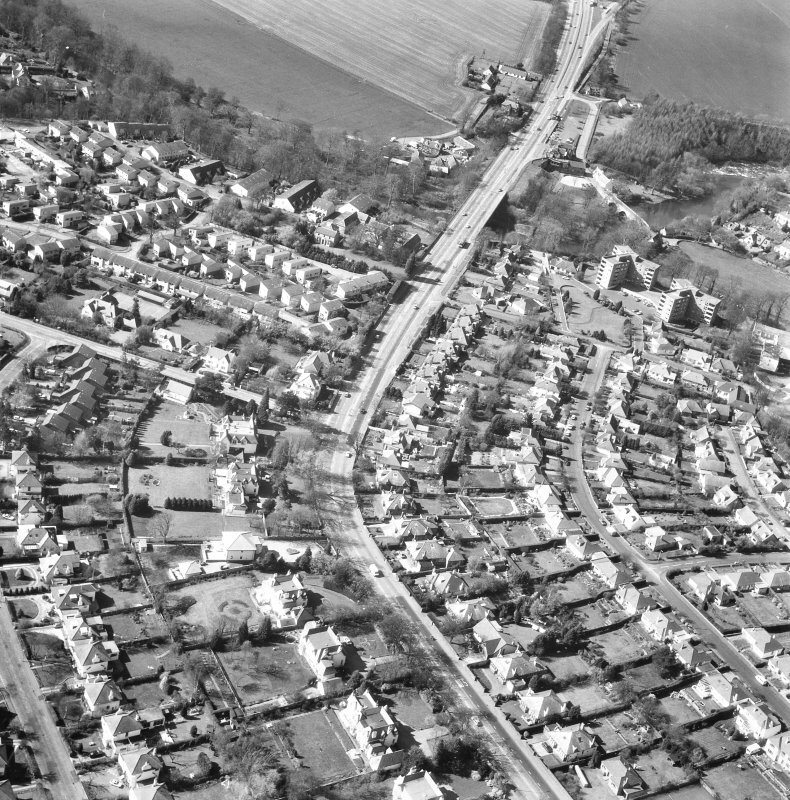 Oblique aerial view centred on the road bridges and cottage, taken from the NW. 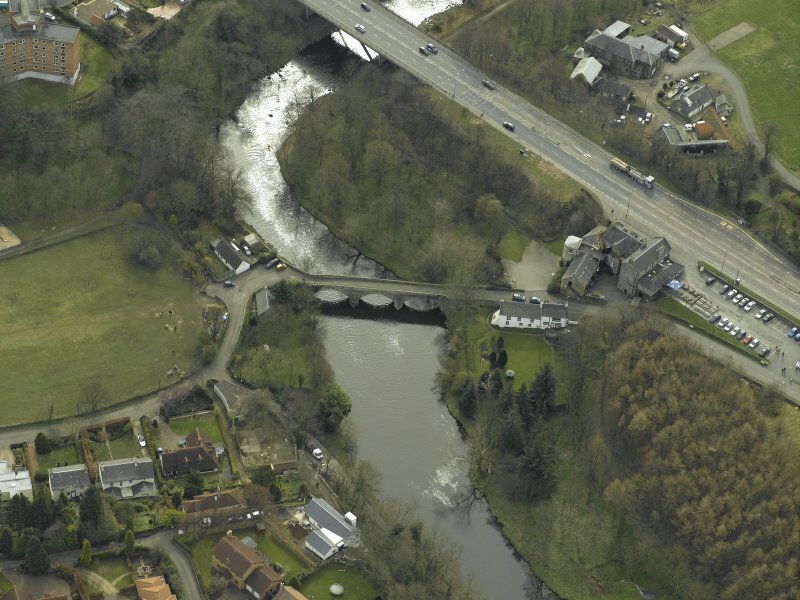 Oblique aerial view centred on the road bridge and cottage, taken from the SSE. 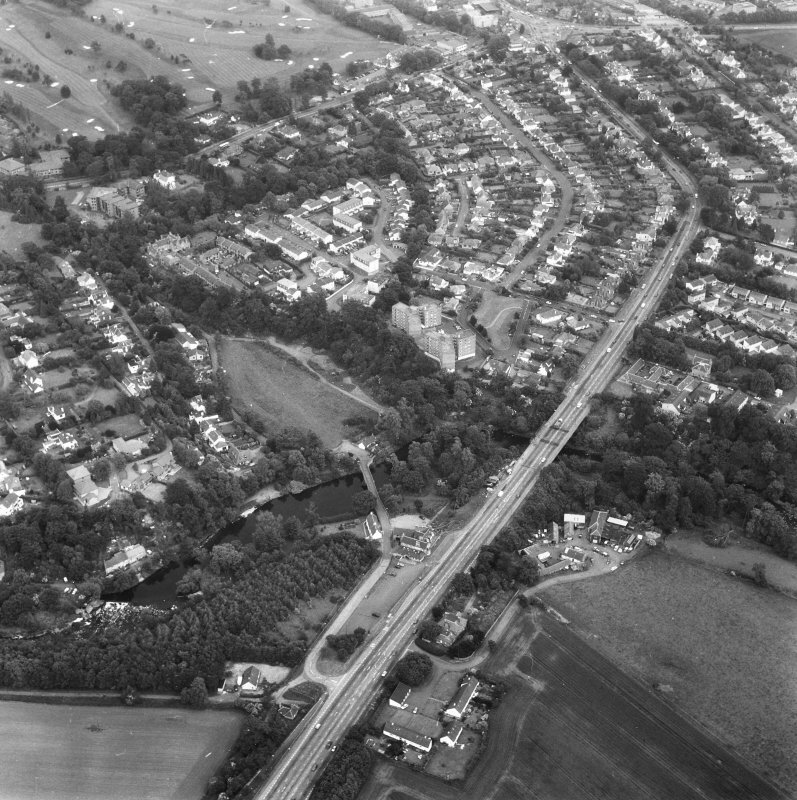 Oblique aerial view centred on the road bridges and cottage, taken from the N.
Oblique aerial view centred on the road bridge and cottage, taken from the WSW. 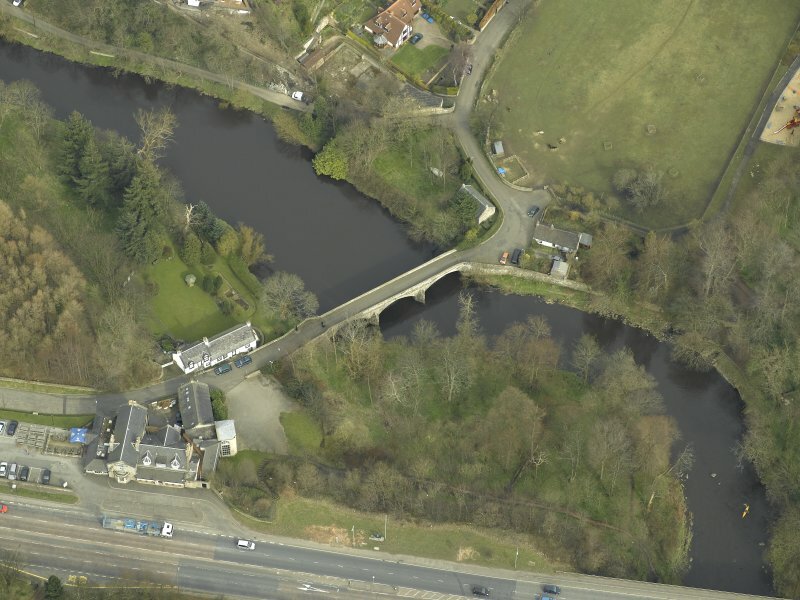 For (successor) Cramond New Bridge (adjacent to SW), see NT17NE 282. 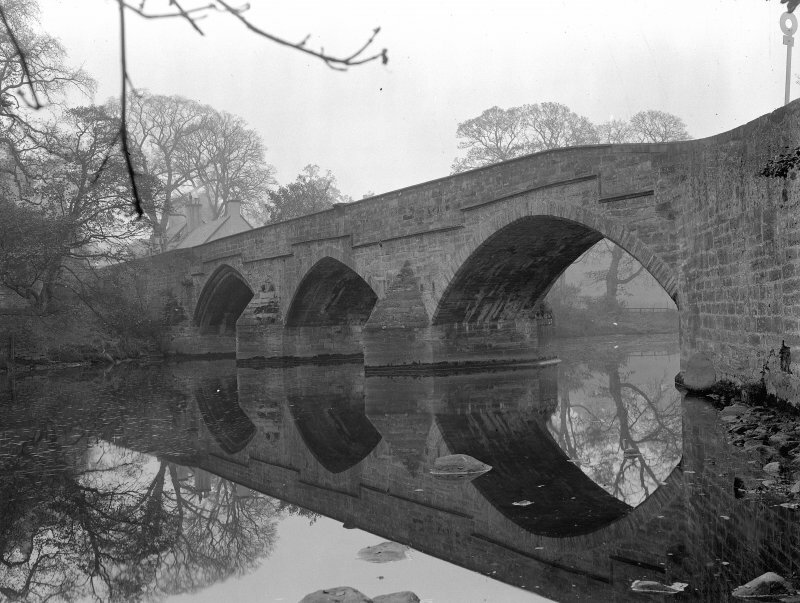 Cramond Old Bridge, still in use and in good condition in 1953, is probably of late 15th-early 16th century date. 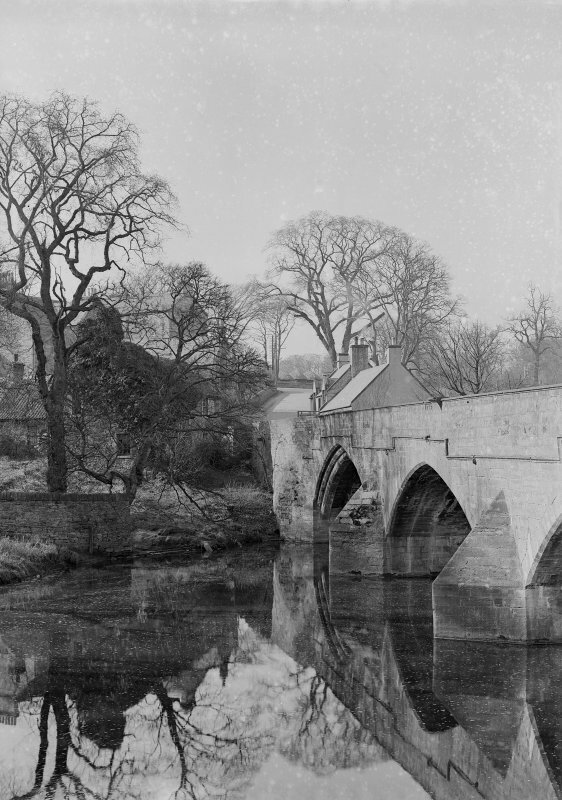 Part of the bridge fell sometime before 1587, but it is recorded on the parapet that it was rebuilt by 1619 and repaired in 1687, 1761, 1776 and 1854. 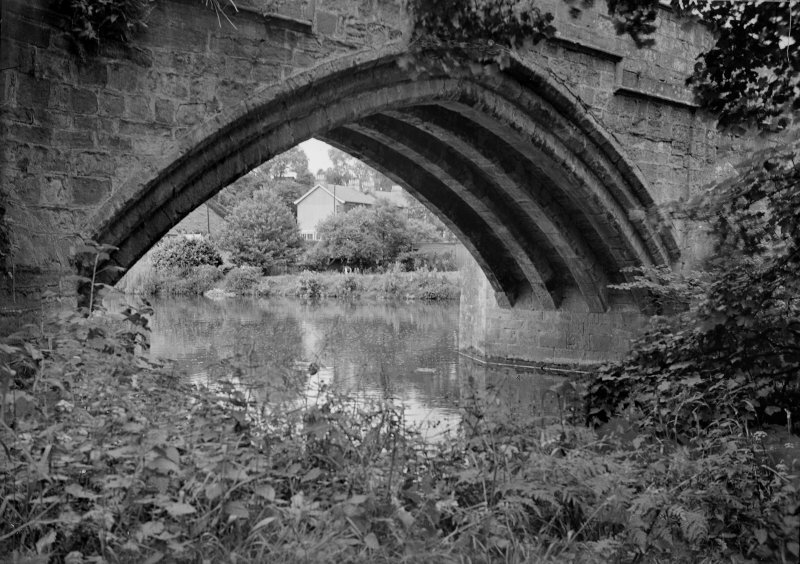 There are three arches, the oldest being the western one. 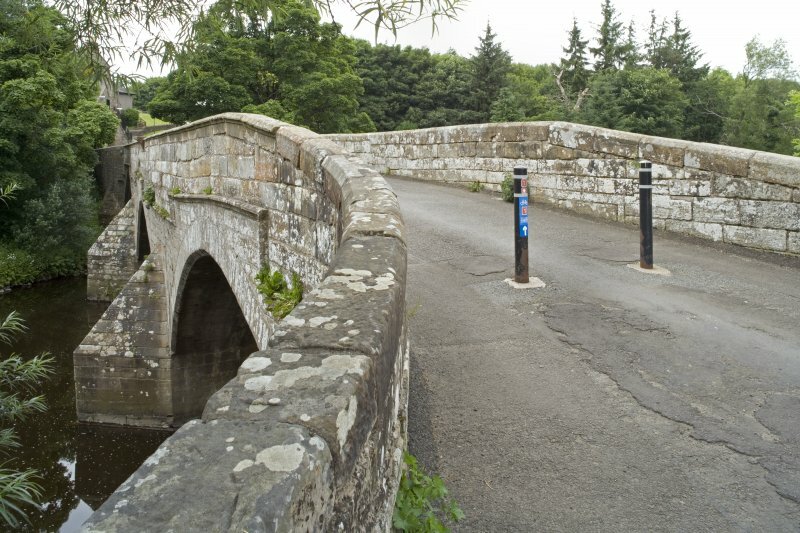 This bridge is as described and now in use as a footbrige only. 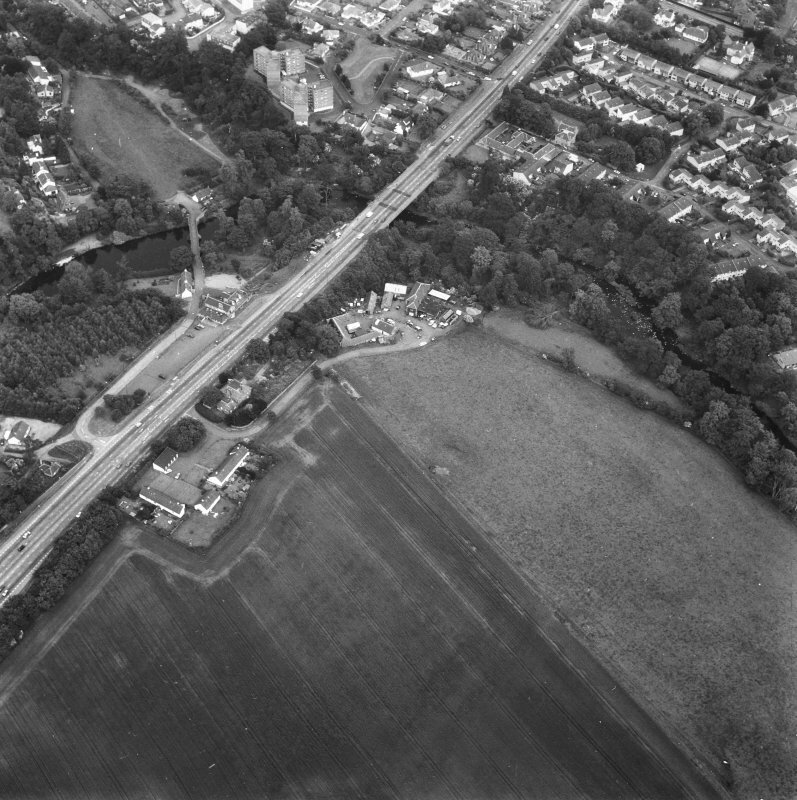 Visited by OS (BS) 11 December 1975. 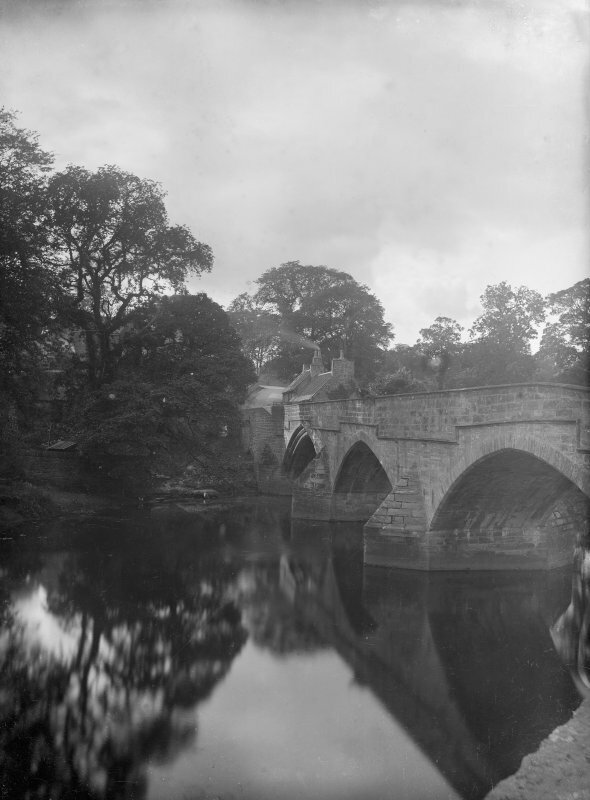 Cramond Old Bridge, Brae Park Road. 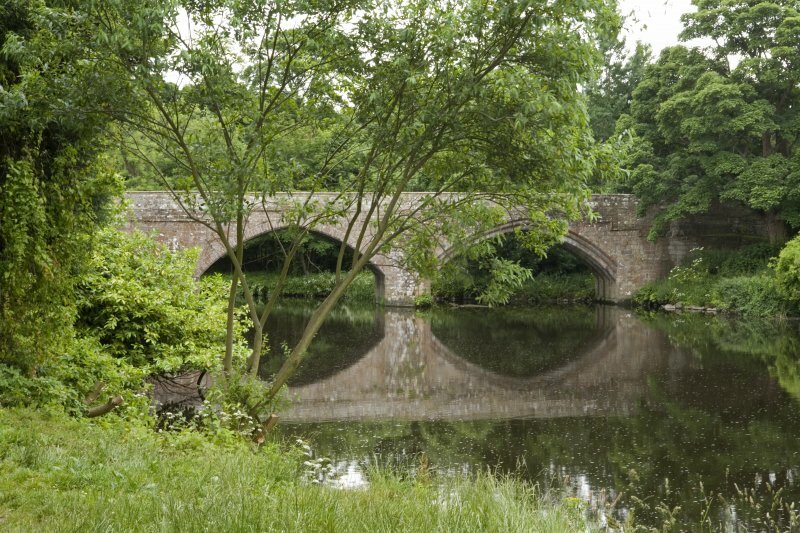 c. 1500, heavily repaired in 1617-19, and again by Robert Mylne, 1687-91. 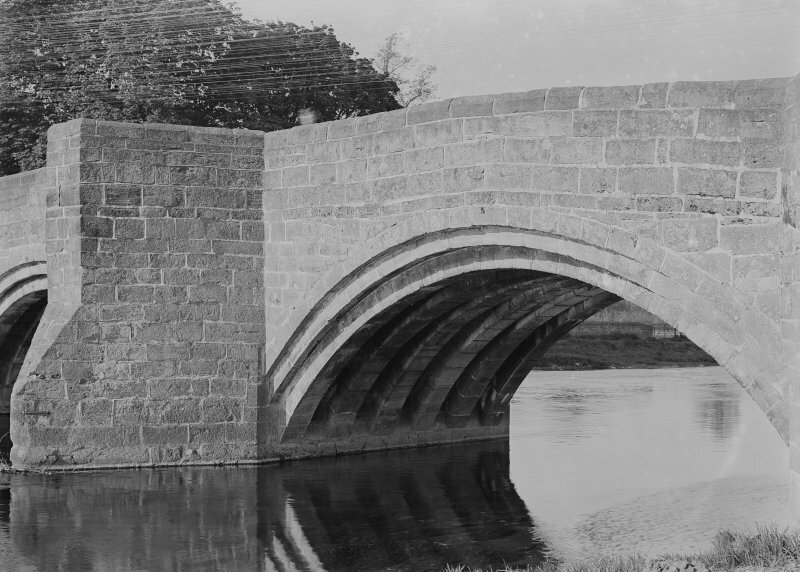 Further repairs 1761, 1776 and 1854. 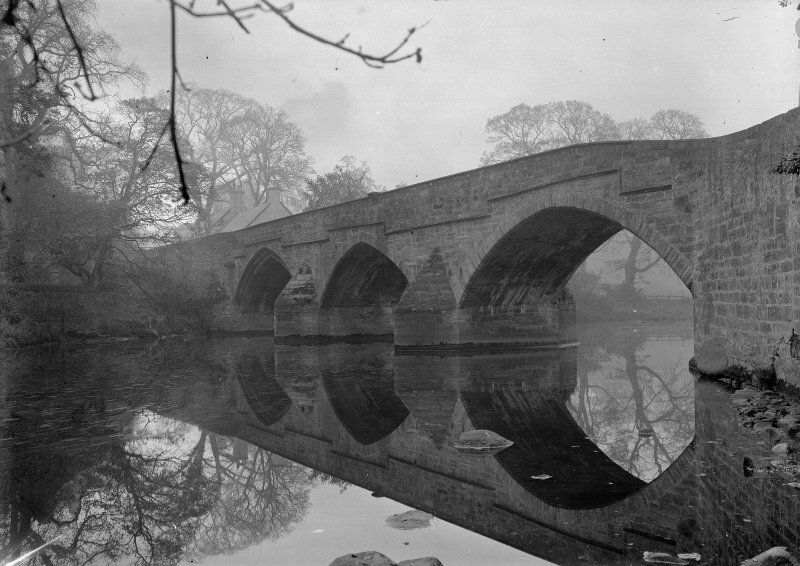 Three obtusely-pointed arches with a string course jumping over them. Heavy triangular cutwaters. J Gifford, C McWilliam and D Walker 1984. 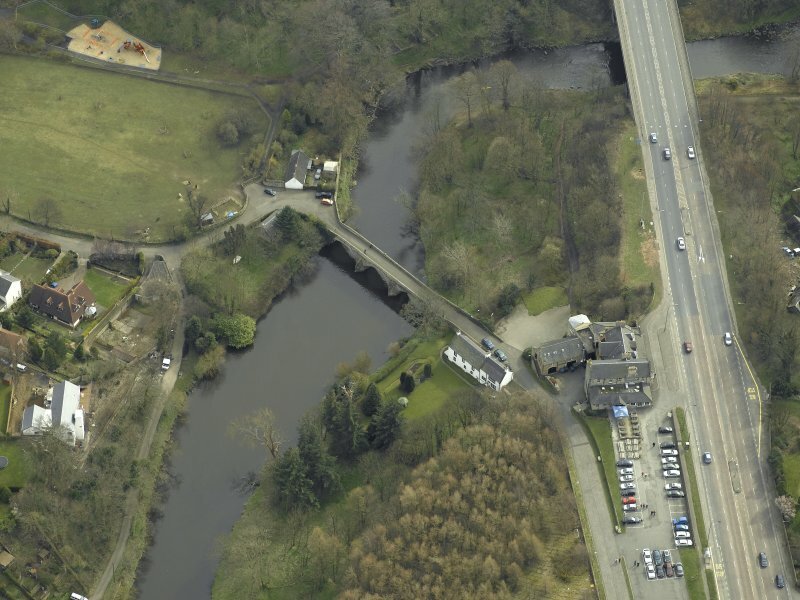 As a condition of Scheduled Monuments Consent a watching brief was carried out during the digging of three test pits to assess the viability of laying a new gas main across the bridge which was originally constructed in c1500. 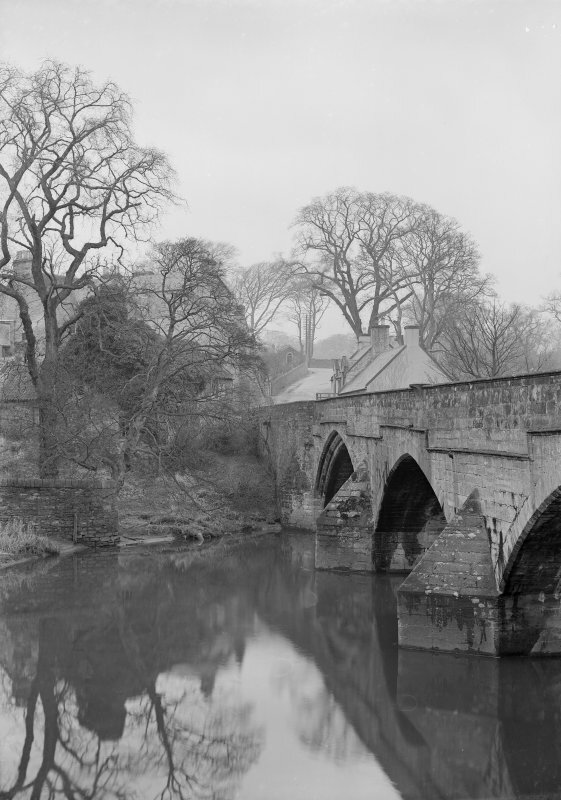 A pit was dug over the centre of each bridge arch to determine he depth of cover. 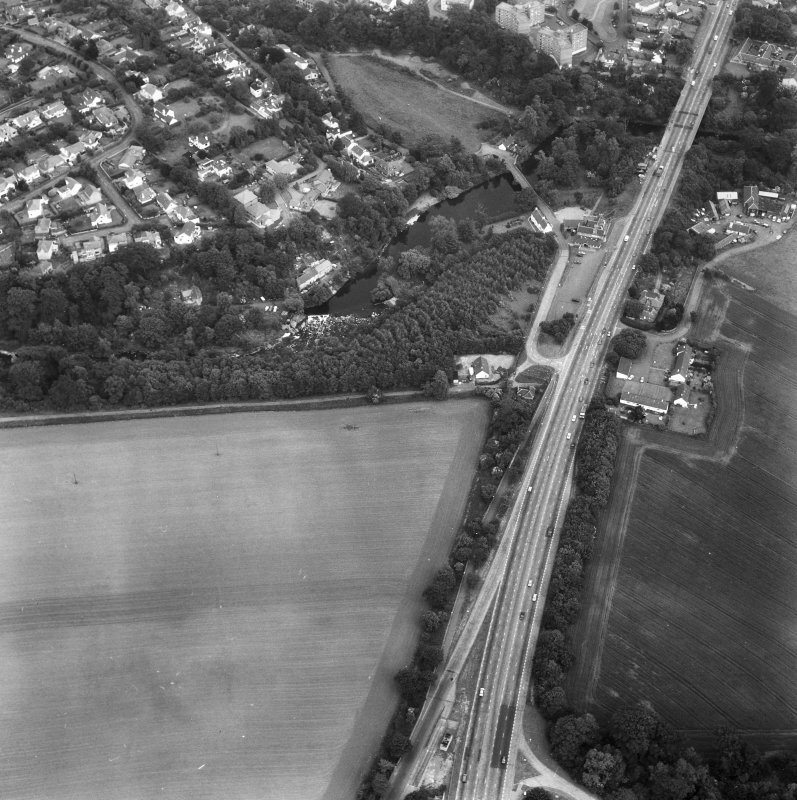 All pits were 1m square and dug in the centre of the carriageway. 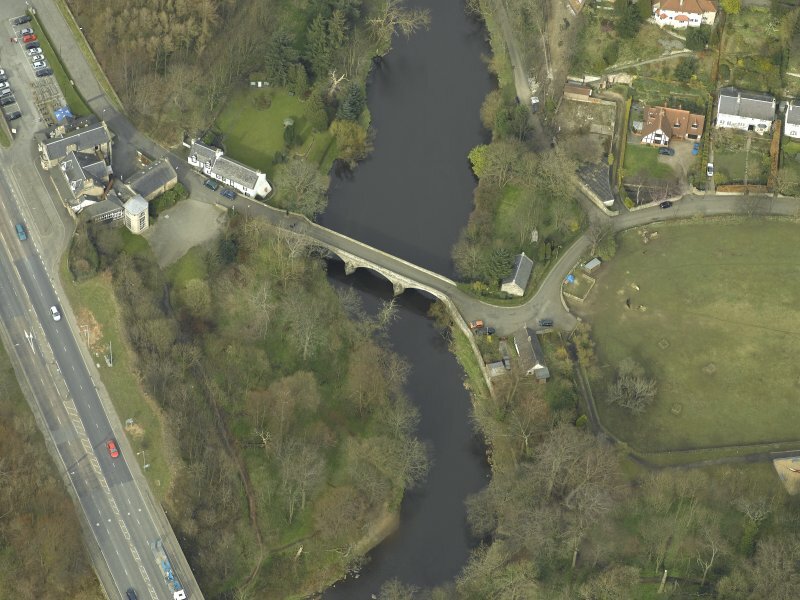 In the N pit a sequence of 5/6 old road surfaces overlay the sandstone arch structure, 0.44m below ground surface. 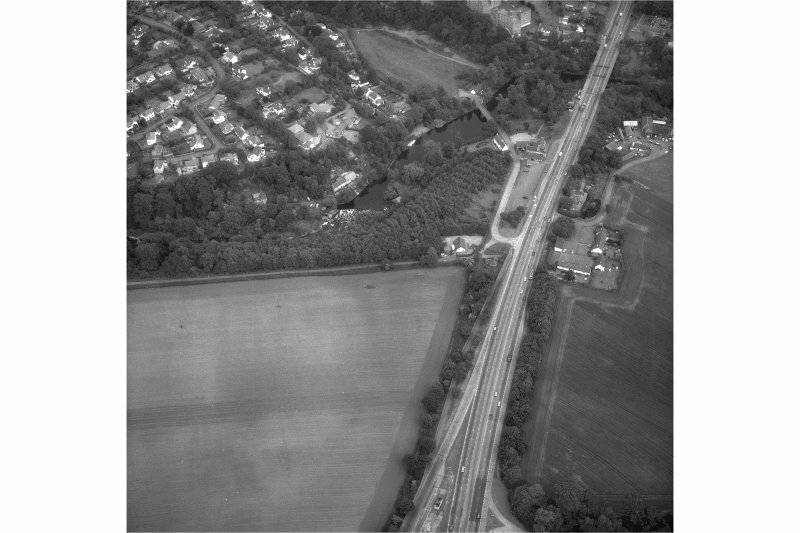 The centre pit cut through a similar sequence of road surfaces to a depth of 0.60m, at which level was a surface of substantial black rounded cobbles, most likely marking the old county boundary which ran along this line. 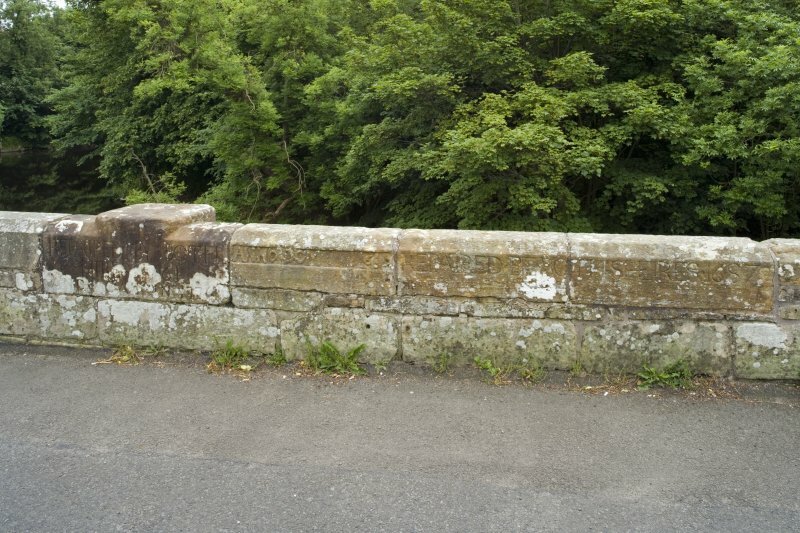 In the S pit, the old road surfaces had been scalped off and the modern tarmac and make-up lay directly over the bridge structure at a depth of 0.18m. Sponsor: British Gas (Scotland) plc. 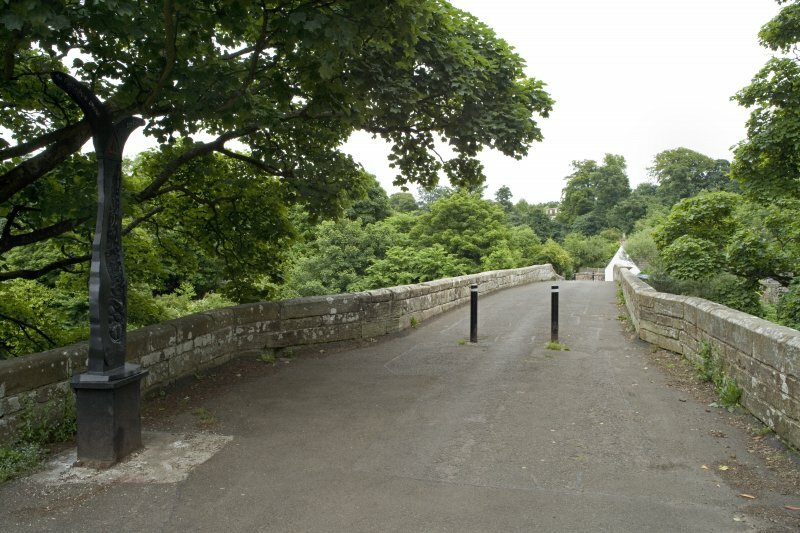 Now a footbridge, this bridge formerly carried the A90 public road across the River Almond on the NW fringe of suburban Edinburgh; it thus allowed access from Edinburgh to South Queensferry and the Forth crossing. 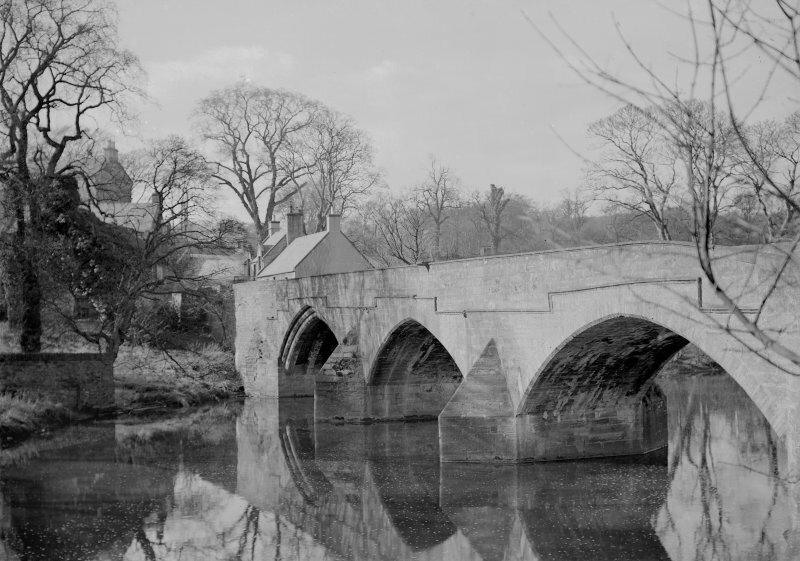 It was replaced in about 1964 by Cramond New Bridge (NT17NE 282), to the SW. 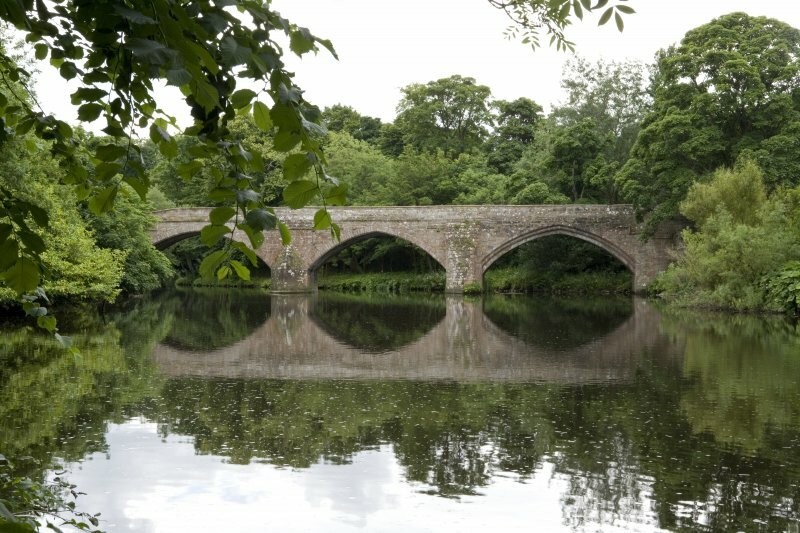 The river here forms the boundary between the parishes of Dalmeny (to the W) and Edinburgh (to the E). 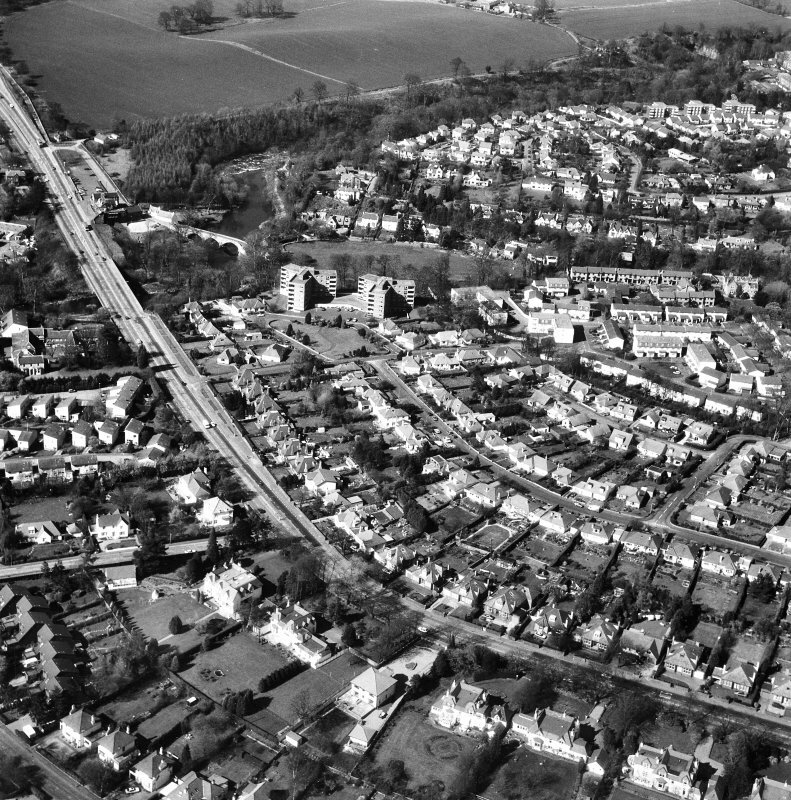 Information from RCAHMS (RJCM), 8 March 2006. 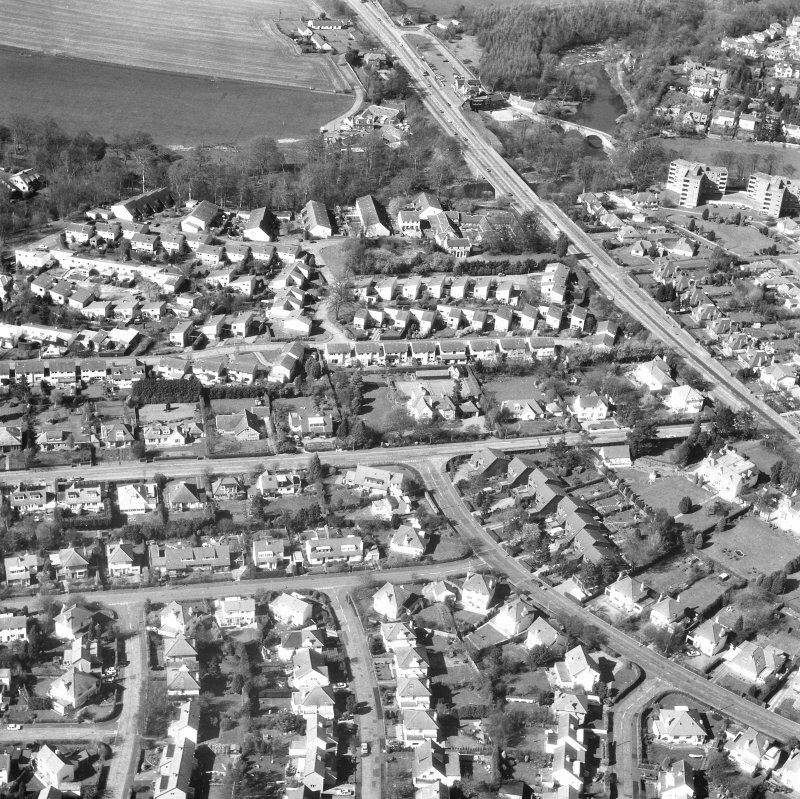 Photographic survey by the Scottish National Buildings Record/Ministry of Work in May 1965. 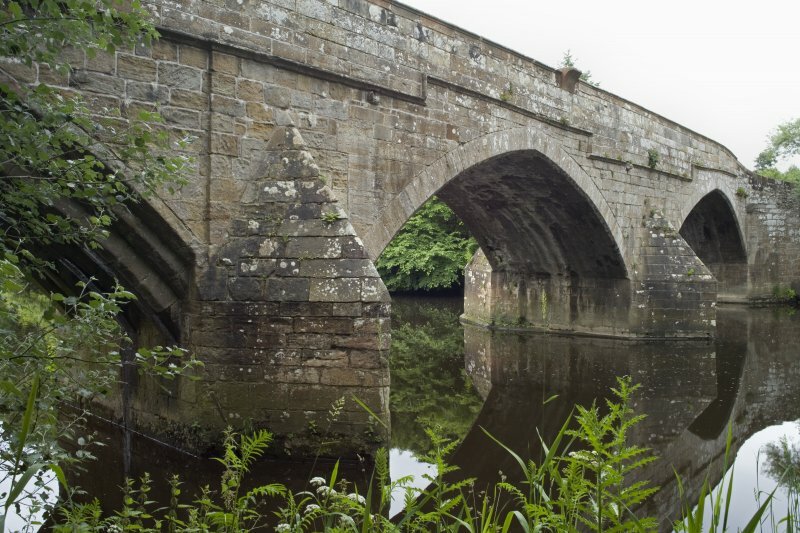 The three-span mediaeval masonry bridge spanning the Almond dates originally from ca.1488. 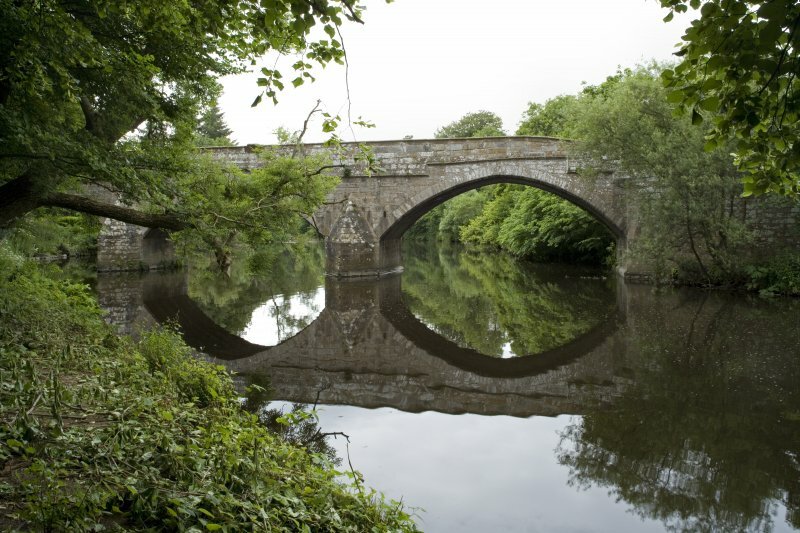 Only the westernmost of its original pointed arches remains, which has four ribs bridged by stone slabs. 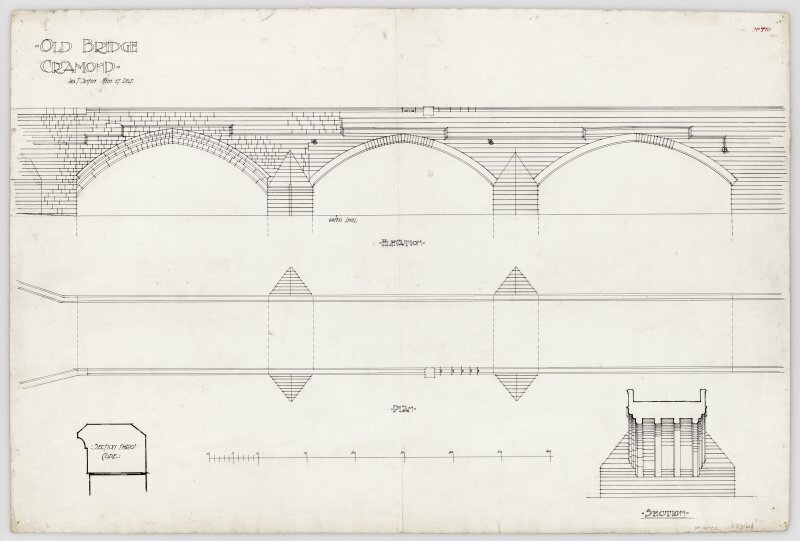 The roadway width between parapets is 1312 ft. 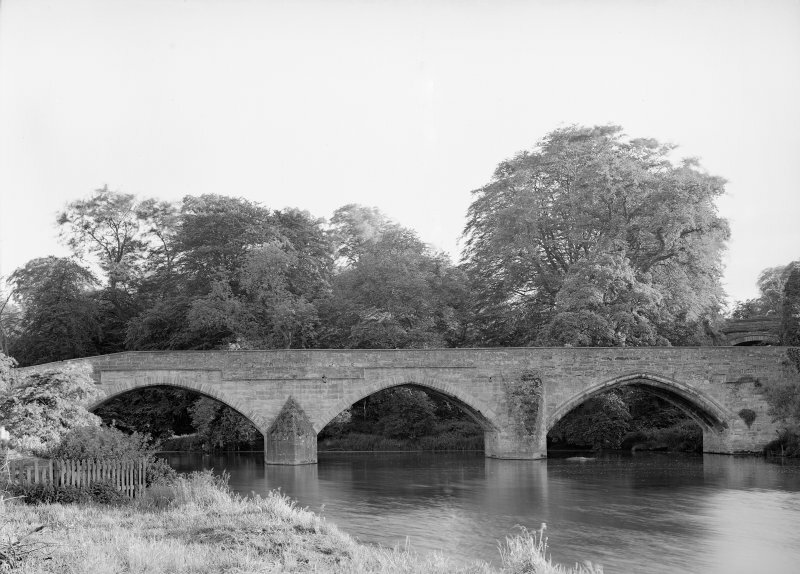 The other two arches, destroyed by a flood in 1587, were rebuilt in 1619 as vaulted arches, also pointed. 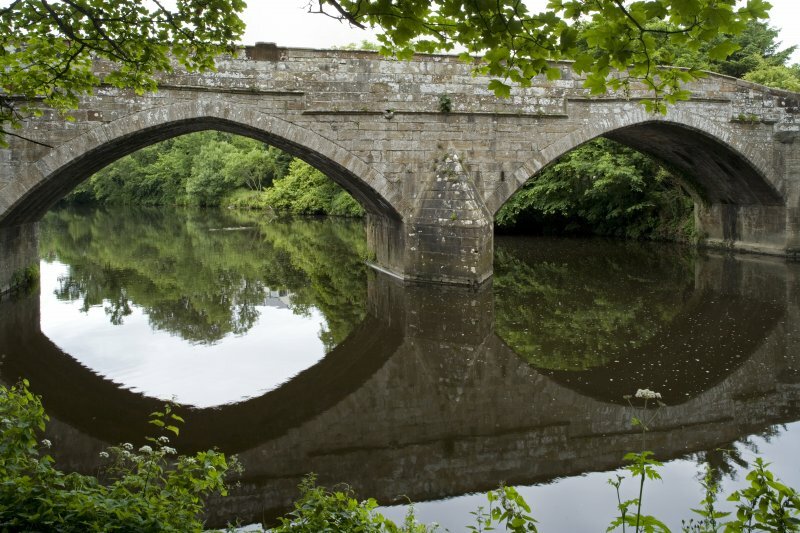 The spans are unusual, being 37 ft for the centre span and 40 ft for the two outer spans. 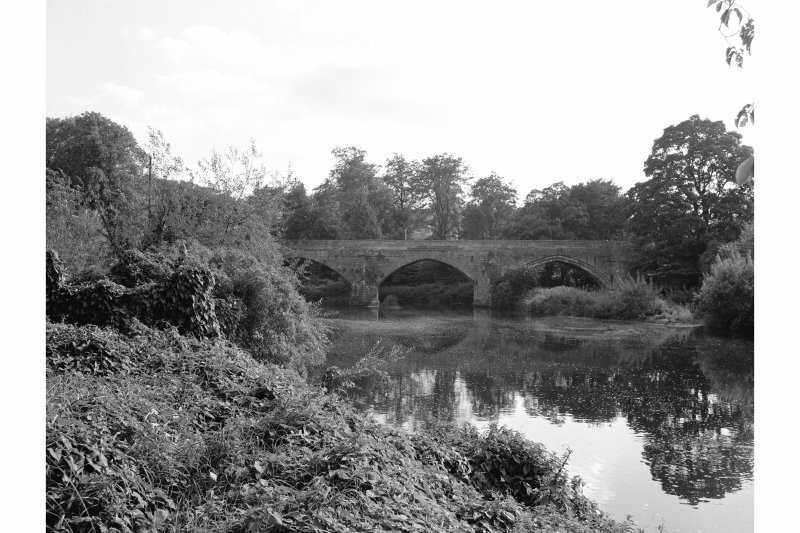 The two upstream and the east downstream cutwaters are of one design and probably date from 1619, but the west downstream cutwater looks older and may be original. 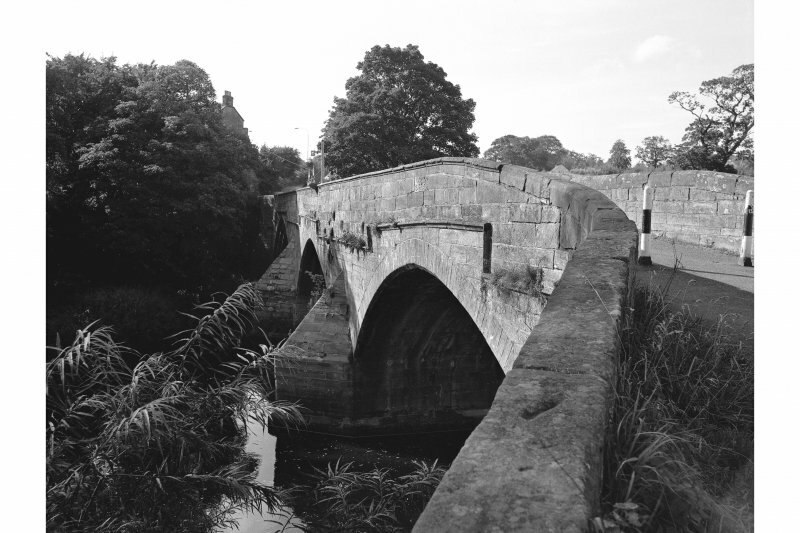 The inner face of the upstream parapet bears several dates in the 18th and 19th centuries when repairs were carried out. 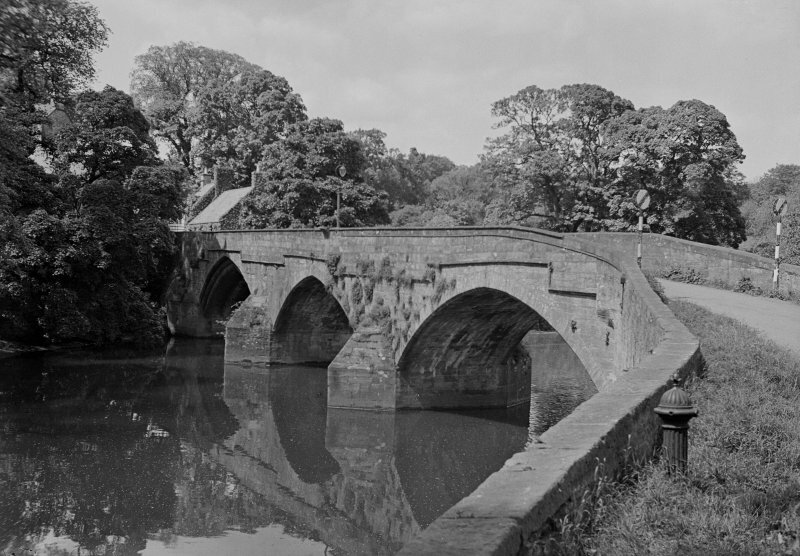 Its outer face bears the date 1619. 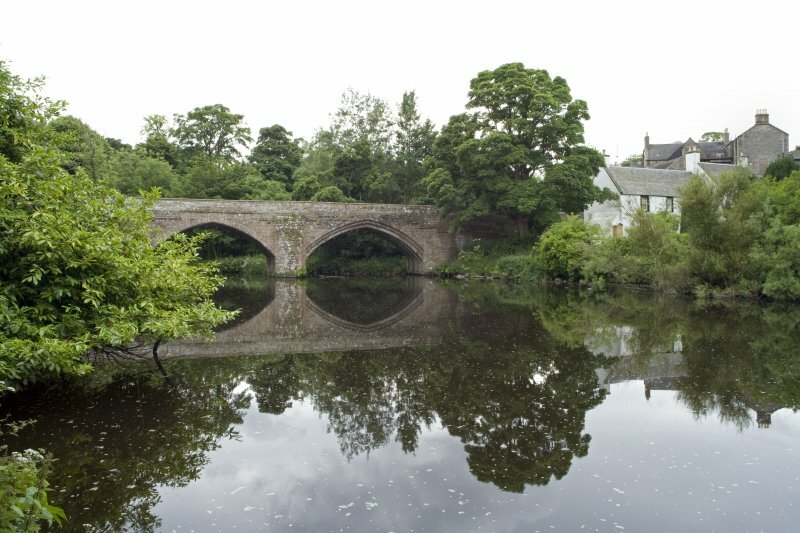 Cramond Brig appears to have been the only bridge over the Almond at this location until 1820, when increasing traffic on the Queensferry road required a new bridge. 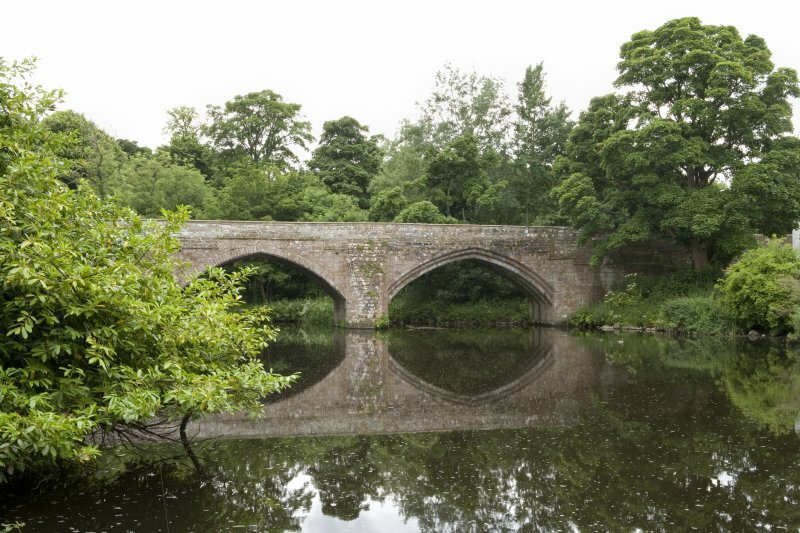 AOC Archaeology Group was commissioned by the City of Edinburgh Council to undertake a series of archaeological works in advance of, during and after the renovations at Cramond Old Brig, Edinburgh. 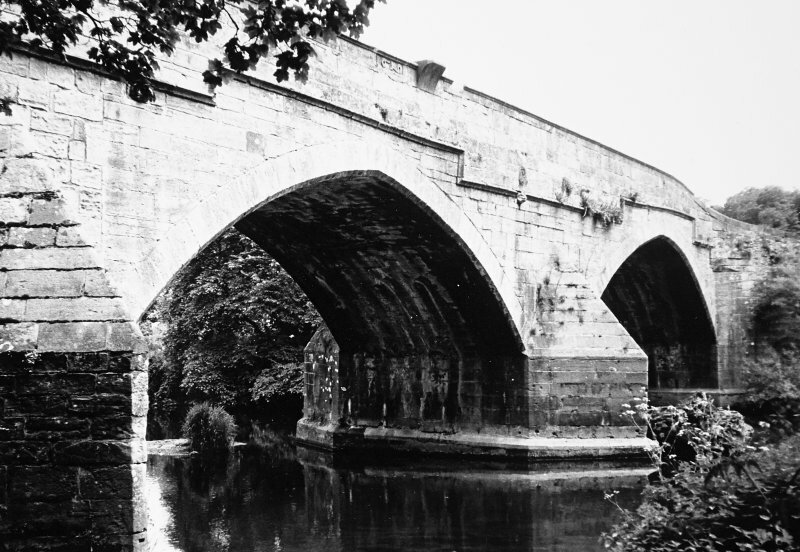 The work included both before and after photographs of the bridge after consolidation work was carried out as well as a watching brief on the excavation of a number of test pits on the surface of the bridge to identify the extent and survival of the drainage spouts.